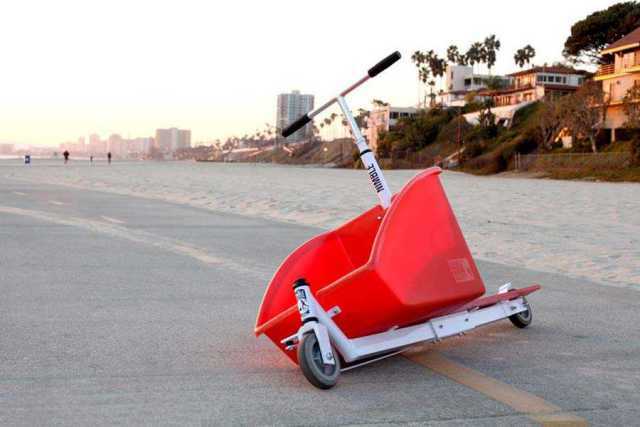 Nimble Cargo Scooter Makes Local Shopping Easier | OhGizmo! 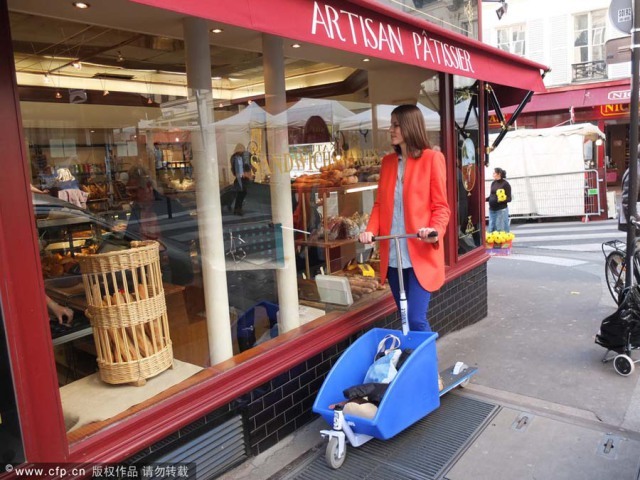 The Nimble Cargo Scooter is designed to help you shop by attaching a cargo basket to a foot-powered scooter. It’s made for those of you who live relatively near a grocery store and tend to go shopping on your bicycles, but who’ve realized that carrying a case of 24 beers tends to destabilize the ride quite a bit. By lowering the center of gravity and putting the basket near the floor, you can lug around a much larger quantity of items, while having a bit of fun in the process.